Born: 27 November 1820, King's Lynn, Norfolk, England. Died: 8 May 1875, Durban, South Africa. (John) Thomas Baines was the son of the master mariner John Baines and Mary Ann Watson. Although christened John Thomas, he always used only his second given name. He was interested in drawing from an early age and in October 1836 started a five year apprenticeship in the heraldic department of a coach builder to learn the trade of ornamental painter. On completion of his training he came to the Cape of Good Hope, arriving in Cape Town in November 1841. There he made a living from painting for six years. He then moved to Grahamstown, where he continued painting during the next five years, but from where he also undertook a number of journeys into the interior. His first expedition was a hunting trip to the Orange River from April to June 1848. In August 1849 he travelled to the mouth of the Kei River. The next year he joined the explorer and hunter Joseph McCabe* on an expedition to Lake Ngami, but they were prevented from travelling beyond Potchefstroom by the Boers who were afraid of British intentions in the region. From June 1851 to January 1852 Baines served as the first official war artist in South Africa, sketching and often participating in the fighting of the Eighth Frontier War in the Eastern Cape. Around the middle of 1853 he left the Cape Colony for Britain. His Journal of residence in Africa, 1842-1853 was published in Cape Town during the 1960's. After two years painting, writing, and lecturing in Britain, Baines joined an expedition to northern Australia as artist and storekeeper. Upon his return to Britain he was elected a Fellow of the Royal Geographical Society in 1857. He next joined the missionary-explorer David Livingstone* as artist and storekeeper on the latter's expedition up the Zambezi River in 1858, forming a good working relationship with the expedition's physician and naturalist, John Kirk*. However, he left the expedition at Tete on being unjustly accused of petty theft, and settled in Cape Town where he recovered from illness. In 1861 he joined James Chapman* on an expedition through present day Namibia (March -July 1861) and via Lake Ngami (December 1861) to the Victoria Falls (July-September 1862). They took materials with them with which to build two boats, planning to travel down the Zambesi River to the east coast. However, malaria, a shortage of supplies and other problems forced them to turn back at the falls. Returning to Otjimbingwe in Namibia in August 1863, Baines stayed there as a guest of C.J. Andersson*, preparing illustrations for the latter's Birds of Damaraland .... He was a moody person, and the quality of his illustrations varied. His account of the expedition, Explorations in South-West Africa: being an account of a journey in the years 1861 and 1862 from Walvisch bay, on the western coast, to Lake Ngami and the Victoria Falls, was published in London in 1864. It incensed Chapman, who's own book only appeared in 1868. Baines's book included many natural history notes and detailed route maps. His map of the Lake Ngami region (scale 50 miles to the inch, or 1:3 168 000) was more detailed and accurate than the maps compiled by Livingstone and C.J. Andersson. Baines returned to Cape Town in December 1864 and to Britain in June 1865. In 1868 he was appointed to lead an expedition to Matabeleland for the South African Gold Fields Exploration Company. He travelled there twice from South Africa and in August 1871 obtained permission from Chief Lobengula to explore, prospect for, and mine gold on behalf of the company in what is now central Zimbabwe. Though the expeditions were not successful as business ventures, they prepared the way for the later exploitation of Zibabwe's mineral deposits. His journals of these journeys were edited by J.P.R. 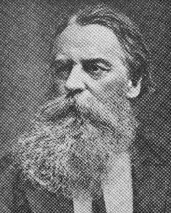 Wallis and published in 1869-1872. Baines also wrote an important description of the regions visited, including the gold fields of the eastern Transvaal, under the title The gold regions of south-eastern Africa ... which was published posthumously in 1877 and served as a prototype for later prospecting guides. In it he described numerous geological features, noted old mine workings on quartz reefs and identified these correctly as examples of early Shona mining. He died of dysentery in 1875 while preparing for another expedition to Matabeleland. Baines had received instruction in the use of astronomical and surveying instruments from Sir Thomas Maclear* at the Royal Observatory in Cape Town. He used a sextant and artificial horizon to determine the latitudes of many places in southern Africa and even determined some longitudes, the existing values often being quite inaccurate. To determine absolute heights above sea level he sometimes measured the local boiling point of water, while relative elevations were determined with an aneroid barometer. A compass was used to take bearings, and a trocheameter (wheel with a revolution counter) to determine the distances travelled. These observations were incorporated in A map of the gold fields of south-eastern Africa (London and Port Elizabeth, 1876), which indicated his route from Durban into central Zimbabwe. He produced many other original maps too, copies of which were sent to the Royal Geographical Society. However, as he made no major geographic discoveries his influence on the evolving map of Africa was modest. Baines was an acute observer and able to render accurate representations of his observations in his drawings and writings, though the style of his drawings varied. From a geological point of view his illustrations of the Victoria Falls as a geological landscape is probably his best work. His zoological drawings were true to life and the animals often depicted in their natural environment. Though he collected a number of zoological specimens, of which some ended up in the British Museum (Natural History), most were spoiled. One of his finds was a beetle of a new genus in Matabeleland, named Bolbotritus bainesi in his honour by H.W. Bates. He also sketched plants and discovered a new aloe in Natal in 1873, one of the largest of all aloes, of which he sent live specimens to Kew Gardens. It was named Aloe bainesii in his honour. Several other plant species were also named after him. His output was extensive, including more than 400 oil paintings plus many water colours and pencil sketches. He contributed several papers to the Royal Geographical Society's Journal, including descriptions of the Limpopo, its origin, course and tributaries (1854), notes on the Zambezi expedition (1859), and an account of his exploration of the goldfields of Zimbabwe (1871). Aucamp, P. Thomas Baines, explorer, cartographer, surveyor. South African Survey Journal, 1975, Vol. 15, pp. 54-58. Baines, Thomas. Explorations in South West Africa.... London: Longman, 1864. Baines, Thomas. Journal of residence in Africa (2 vols, ed. by R.F. Kennedy). Cape Town: Van Riebeeck Society Volumes 42 and 45, 1961, 1964. National Automated Archival Information Retrieval System (NAAIRS). http://www.national.archives.gov.za/naairs.htm Documents relating to T. Baines. Stevenson, M. (ed.) Thomas Baines: An artist in the service of science in southern Africa. London: Christies, 1999. Stiebel, L. & Goldsworthy, C. A suitable match: Marrying technology to the past in the Thomas Baines and the 'Great Map' CD-ROM project. In Liebenberg, E.C., ed., Proceedings of the symposium on the history of cartography of Africa... (pp. 131-141). Pretoria: International Cartographic Association, 2003. White, A. & Sloane, B.L. The Stapeliae (2nd ed., Vol. 1, p. 111). Pasadena, 1937.